The first time I have been given an estimate for my electrical work and it did not change. Did it in a timely manor. 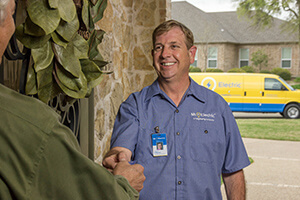 We have called Mr Electric for several jobs at various properties that we manage. They have done an excellent job every time. Efficient, knowledgeable and good rates. Very professional great service excellent communication, definitely will call on them for all electrical needs. Extremely professional and timely. They have a way of making you feel like you are family and are their only customer. I can't refer them enough!